In 2011, photographer Hiroko Tanaka took a two-day trip to Vietnam and went to the hospital in Ho Chi Minh City, formerly Saigon. While there, she visited the children’s ward, where she found over 60 children with severe deformities. While talking to the ward of the hospital, she found that these deformities were blamed mainly on Agent Orange, an herbicide used during the Vietnam War. 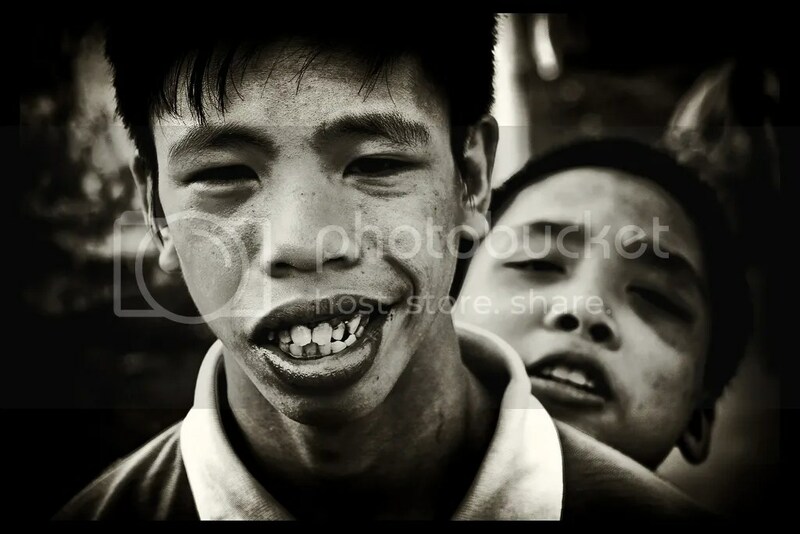 If these children’s deformities were legitimately cause by Agent Orange, it would mean that a simple chemical used as a war measure still pervades Vietnamese life with crippling consequences over 50 years later. Completely aside from the millions of deaths caused on both sides of the battlefield, actions taken during wartime are affecting innocent civilians now. The long-lasting effects of violence are common knowledge, but with modern chemical warfare, these aftereffects take on a new spin, harming innocent children more than half a century later. Named after the orange band around the barrels, Agent Orange is an herbicide that was widely used in Vietnam by the U.S. military. The product was created and manufactured mainly by Monsanto, an agricultural biotechnology company, which now produces the common herbicide Roundup. Monsanto has a monopoly on modern agriculture in the United States. When Agent Orange was tested on animals, it caused a wide variety of diseases, most of them fatal. The herbicide itself is composed mainly of two chemicals: 2,4-D and 2,4,5-T; it was used in Vietnam to destroy enemy cover by defoliating trees and wildlife in the dense terrain. It was mixed with kerosene or diesel fuel and sprayed from military aircraft, an incredibly effective method. The army poured over 19 million gallons of Agent Orange onto the Vietnamese countryside before scientists from the Agriculture Department urged the government to stop the spraying due to “a significant potential to increase birth defects,” when Agent Orange was discovered to contain large amounts of an extremely toxin dioxin. This dioxin belongs to a family of dioxin compounds, which are toxic compounds that cause high levels of environmental and organic pollution. By that time, however, Agent Orange had destroyed 5.5 million acres of forest and farmland, roughly equal to the state of New Jersey. Plants and animals were dead within days of the land being sprayed, and the long-lasting effects on both Vietnamese civilians and U.S. troops were just beginning to manifest in cancer, numerous other diseases and gruesome birth deformities. The long and short-term consequences of Agent Orange are numerous to say the least. According to statistics from the American Public Health Association, two to five million Vietnamese were exposed to dangerous levels of dioxin during the war, but the consequences spread to millions more through the generations. During the war in the years following, Vietnamese doctors commonly saw children born with no limbs, eyes and, in some circumstances, without a brain. According to Dr. Linda Birnbaum, Director of the National Institute of Environmental Health Sciences, “It has widespread effects in nearly every vertebrate species at nearly every stage of development.” The problem becomes more drastic, however, as decades pass and the effects of dioxin are still visible, as Hiroko Tanaka saw in the children’s hospital. Dr. Nguyen Thi Ngoc Phoung, a Vietnamese obstetrician, still finds dangerously high levels of dioxin in mothers’ breast milk. Although these effects are the most drastic, U.S. Vietnam veterans are also still affected negatively from exposure, as is much of the land in Vietnam that was sprayed intensively and is still completely infertile. Although the United States has never officially recognized the direct link from Agent Orange to birth defects and disease, it has recently started to put money into helping solve the massive problem it created for Vietnamese society. In August 2012, the U.S. government funded a $43 million cleanup project in Vietnam in an attempt to rid the soil around the U.S. air bases of dioxin. However, many consider this to be too little and too late, as this is the first step the United States has made to clean up, and $43 million 50 years later is under no circumstances enough. However, the government has done more to help the Vietnamese veterans in the United States. In 2010 alone, $16 billion was allocated to medical compensation for Vietnam vets who suffer a range of diseases from leukemia to birth defects of their children, although the government has never publicly stated that these are due to Agent Orange. There is bitterness among the veterans and Vietnamese alike concerning the lack of action towards righting the many wrongs of the war. However, what might be considered to be most important about this is that the United States, and the world, has not learned its lesson about the disgustingly malignant aftereffects of war. Vietnam is not the only place where chemicals used by the U.S. military have harmed civilians decades later; the use of DU, or depleted uranium, has drastically raised rates of disease and birth defects in Iraq. Depleted uranium is one of the waste products of nuclear reactors and weapons, and is used to make many weapons used by the army during the Iraq War. Because DU is severely toxic and we have a large stockpile, it became popular to use in weaponry in order to get rid of it and deposit it in other countries, regardless of the drastically raising rates of disease and child defects directly after its use. Fallujah, Iraq, epitomizes this. After the Marine Corps destroyed the town in an attack against Sunni insurgents, weapon remnants, containing large amount of DU, were pushed to the bank of the Euphrates River, which supplies water to the city. 15 years later, leukemia incidents have more than doubled and doctors are seeing shocking birth deformities, including children born with two heads. Actions like this are not manifested solely in a specific country, and are committed by both developed and undeveloped nations alike. Yet this does not change the fact that mankind, as a race, is mindlessly using modern warfare to win a fight, without thinking of the consequences and how they will affect innocent generations to come. The consequences of war need to be seriously considered before any government launches an attack that can seriously harm millions of innocent people. While war is sometimes necessary, it is something that should be carefully planned and done in a way to end fighting and bring peace quickly, not with the aim of causing as much harm as widely and effectively as possible. Institutions and policies need to be changed, and institutions such as the UN should start to take a more active position in pacifying situations before violence becomes an option. On an individual level, however, society has become increasingly accepting of violence and war, and by taking a stand against it or taking the time to talk to others and question their viewpoints, society’s passivity and unwillingness to fight for peace can be changed. New York Times. August 9, 2012. Web. March 1, 2012. Thruth-Out. August 25, 2011. Web. March 2, 2013. Johnson, Elizabeth. “Effects of Agent Orange ‘Ongoing Silently’ in Children.” CNN. January 12, 2013. Web. March 2, 2013. Patterson, Susan. “What is Agent Orange?” Firebase Freedom. September 23, 2011.